SEDs are published in irregular intervals but mostly once a year. The readership includes practising structural engineers, teachers and students at a university level, as well as representatives of owners, operators and builders. The SED Editorial Board is responsible for the planning and selection of technical contributions for the Association's series 'Structural Engineering Document' (SED). No 12. 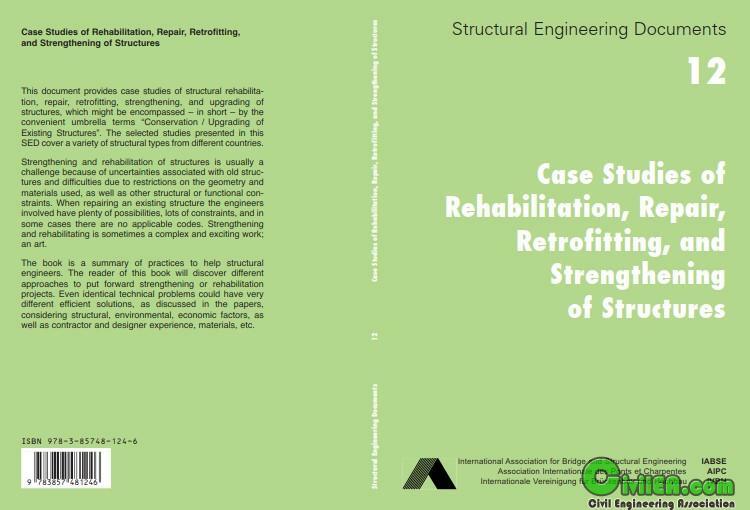 Case Studies of Rehabilitation, Repair, Retrofitting, and Strengthening of Structures - Bakhoum, M.M. & Sobrino, Juan A. Language: English Pages: 180 p. : ill.
"Dynamic Response of Reinforced Concrete Buildings"
"Use of Fibre Reinforced Polymers in Bridge Construction"
This document provides case studies of structural rehabilitation, repair, retrofitting, strengthening, and upgrading of structures, which might be encompassed in short by the convenient umbrella terms Conservation / Upgrading of Existing Structures. The selected studies presented in this SED cover a variety of structural types from different countries. Strengthening and rehabilitation of structures is usually a challenge because of uncertainties associated with old structures and difficulties due to restrictions on the geometry and materials used, as well as other structural or functional constraints. When repairing an existing structure the engineers involved have plenty of possibilities, lots of constraints, and in some cases there are no applicable codes. Strengthening and rehabilitating is sometimes a complex and exciting work; an art. 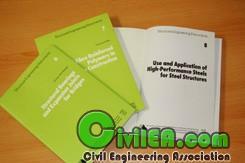 The book is a summary of practices to help structural engineers. The reader of this book will discover different approaches to put forward strengthening or rehabilitation projects. Even identical technical problems could have very different efficient solutions, as discussed in the papers, considering structural, environmental, economic factors, as well as contractor and designer experience, materials, etc.